Last year, Vietnam’s GDP growth was estimated at 7.08%, the highest increase over the past decade. Meanwhile, CPI was up just 3.54% on-year, lower than the goal of 4% set by the National Assembly. Economists forecasted that the country would maintain inflation at below 4%. Dr. Nguyen Duc Do, vice head of Institute of Economics and Finance, higher petroleum and pork prices as well as higher exchange rate were among major factors affecting inflation rate in 2018. But, pork prices have been predicted to be stable this year, so, curbing inflation rate at under 4% would be feasible. However, economists also warned possible challenges for the country in fulfilling the goal. According to economist Ngo Tri Long, the minimum monthly wage was raised by VND160,000-200,000 (USD6.86-8.58) depending on the region from January 1, 2019, would partially put pressure on inflation. Besides, the government has considered increasing electricity prices and some kinds of goods, which would contribute to higher inflation growth. Dr. 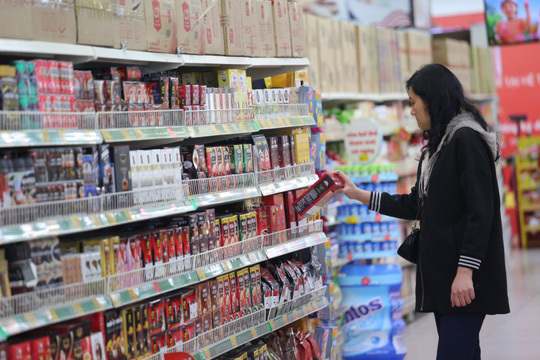 Le Quoc Phuong, former deputy director of the Vietnam Industry and Trade Information Centre under the Ministry of Industry and Trade said that the Federal Reserve interest rate would increase at least twice in 2019. Phuong noted that higher environmental taxes on petroleum produces or the rise in medical and educational services in some localities would add more pressures to restraining CPI. Economist Ngo Tri Long suggested drastic measures to fight against transfer pricing and tax evasion along with timely update the information about the world markets to control inflation.